Have dug up some precious metal the last couple of days, a very nice way to start the year! Got the latest 3x3 Illustration Annual from New York, and though I knew I made the cut, didn't know that the Long Story Shorts Series received a Bronze. 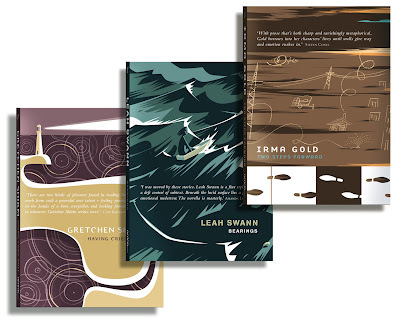 Closer to home, the last 3 books in the series received a GOLD, Gold Gold, in the Illustrators Australia Awards Yayyy I'm rich rich rich, seriously the awards don't really matter, hooo-hah i'm comfortably well-off, it's all about the work... But really, the recognition is very gratifying and none of it happens unless the client says 'yes'. Thanks Affirm! Oh, plus got a highly commended for my book, The Search for Bigfoot Bradley! Well done on the gold! Don't go near the shmellter wid all that gold! Thank you, fellows. Its blocking the view of the TV. I Got a Rocket! Animated!